The 2008 Ironman Lake Placid will go down as one of the most memorable weeks of my coaching and racing career to date. It all started on Friday with Tim and Cait’s surprise wedding which was totally unexpected. This set the backdrop for the race on Sunday, where 14 QT2 athletes were set to race including Coaches Tim, Cait, Pat, and myself as well as many first timers. Going into the weekend, we had set race goals and pacing strategies for all of the athletes with the hopes that the majority would execute that plan as well as the nutrition plan, and reach the goals we had set. Given those race goals, I knew we had 5-6 athletes with the potential for Kona qualification. In the end, only two athletes missed the race goals we had set, and we walked away with three Kona slots (Pat missed by about 1:30!!). For me personally, the goal was sub 9:40 and a Kona slot…..I went 9:40:33 and got the slot…mission accomplished. Tim, Cait, and Pat all executed their race plans to the letter and literally hit their race goals dead in the middle of the 15 minute ranges we had set. Fortunately, this was good enough for a win for Cait (1 hour PR from last year on the same course), and a tenth place finish Tim (40 min PR from 2 years ago on the same course). It also resulted in a 10:02 day for Pat in his IM debut at 23 years old…he will undoubtedly be an IM figure down the road as his potential is developed through his focus on the training protocol and work ethic. Cait will continue to make progress as well and race at a top level given her age, tremendous capacity to make sacrifices, and execute a race plan. Overall, there was no magic on race day, but rather unrelenting implementation of race plans based on the training they have carried out, race fueling they have practiced, and optimization of body composition in preparation for the race over the past 36 weeks. There were no surprises in performance, just surprises in the peripheral benefit of their performance on race ranking versus others. I’m SO happy to see things come together for them. In addition to these elite athletes, our 10 other athletes who raced, most of whom were first timers, were inspired enough to race the distance again I think…mission accomplished. 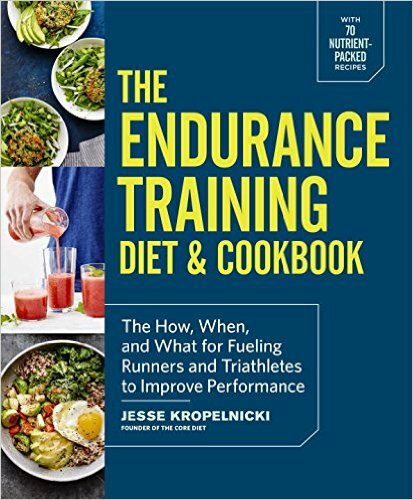 I think our performances in such a big race solidify the relevance of a detailed training and nutrition approach on racing consistency and predictability. If it’s good enough for 1st place finishes and Kona slots, than so be it….the goal is always on individual performance and race execution with the other benefits being peripheral in nature. The race day forecast was for scattered showers. This already made me nervous given the fact that I HATE racing in cold, wet conditions. I’ll take 85+ and humidity over 60 and rainy any day. If I had known we were in for a monsoon on race day, I would have been a bit more nervous going in…probably better off I didn’t know given how things turned out weather wise! Pre Race: Breakfast at 3:30 went down well with the typical large dose of unsweetened apple sauce and other treats. Got to transition, got set up, and was in the water before I knew it. Before the gun went off, I looked around and wondered how the heck I expected to finish at the top of this huge amateur group. Swim (1:00): My training suggested that a :58 swim was in store so I set up about 1/3 of the way off the dock in the front row and went out hard to avoid being trapped in a slower pack. This workout well and I came around the first loop in about 29:30. The second loop I swam on the line and ended up being a bit slower with a time of about 30:30. A bit slower than I would have liked but the variability in IM swims is something you can’t let affect your day, so I moved on without modifying any of the other race plans. I then zipped through transition as quickly as possible knowing that it could make the difference between a trip to Hawaii in the fall or a late season marathon. Bike (5:26): The bike started in the typical fashion with literally hundreds of age groupers going out WAY to hard and blowing their day in the first 10 miles. Sometimes I wonder what goes through their heads out there. Do they realize that Ironman ends with a marathon? It’s a 26.2 mile run for god sakes, take it easy! The bike was supper wet and cold all the way through which was tough for me but I just kept hanging in there and praying for hill climbs to warm up. The bike was for sure a bit slow given these conditions but was the same for everyone so I have no complaints. It’s amazing how tough Ironman athletes can be which is proven by a very low DNF rate despite the brutal conditions. The first loop came around a bit slower than I had hoped for but was much better than seeing it way faster given the long day ahead (always better to be conservative). The second loop I picked it up a bit and finished strong passing about 1 person every minute for the last 20 miles. Overall I finished about 5 minutes slower than I had expected but given the conditions this was probably appropriate. Run (3:07): I felt great starting the run and had to really hold back to stay at 6:50 pace the first 6 miles. My goal was to run 6:50 as long as possible with the expectation to see it drift back to a maximum of 7:50 pace by the last mile for a 7:20 pace average. This had my goal set at 3:12. As it turned out, the slightly conservative bike (5 min slow) set me up for a very strong run where I got back the 5 minutes I had lost with a 3:07 marathon at 7:09 pace. The Garmin was fantastic for helping pace the run. I had no clue where I sat in my age group but did know I passed a whole lot of people on that run course. I ended up with a 9:40:33 and 18th overall including the pros. This put me at 2nd place in my age group…two minutes faster and I’d have won it. Results HERE. I was ecstatic about my race, and run in particular which is the absolute key to a solid IM. I’m very strongly considering LP again next year where my goal will be a 2%-2.5% improvement (9:25-9:30) given the space I have for speed potential, durability, and body composition improvements. Next IM stop: Kona in 12 weeks! Next Up:Timberman Sprint where for the first time I will do the sprint race instead of the Half…should be a blast as Keith’s races are always top notch. Jesse, this weekend proved that the dedication you’ve shown to the sport of triathlon is truly making an impact on the sport – a huge congratulations are in order for you and the entire QT2 team. You’re making some noise and people are noticing! On a more personal note, perhaps my favorite memory of my first Ironman is you jumping out from that chair in front of HPC to cheer me on – I’ll never forget that expression on your face; thanks for helping make the 20th such a memorable day. Congratulations!! It was very exciting to watch all of you out there on Sunday! Amazing job. Oh My God! I missed four entries! I need to go back and comment on all of them…ha ha! It was so inspiring to watch the race. Congrats!! you’re a rockstar jesse! congratulations!!!! Ed: Your accomplishment is beyond the likes of anything I will ever achieve given what you have been faced with (no matter how fast I get or how many times I go to Kona). You should be very, very proud of what you have done. Simply amazing….I am very impressed. Keep at it……. Хочется написать что-то под таким постом, выразить свое мнение… но писать банальности или односложные фразы – желания нет, измышления же какие-либо здесь будут неуместны… потому что всё уже сказано.